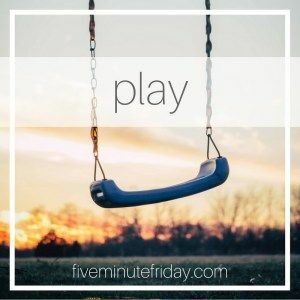 As summer in the northern hemisphere continues, Five Minute Friday host Kate Motaung prompts us to play. 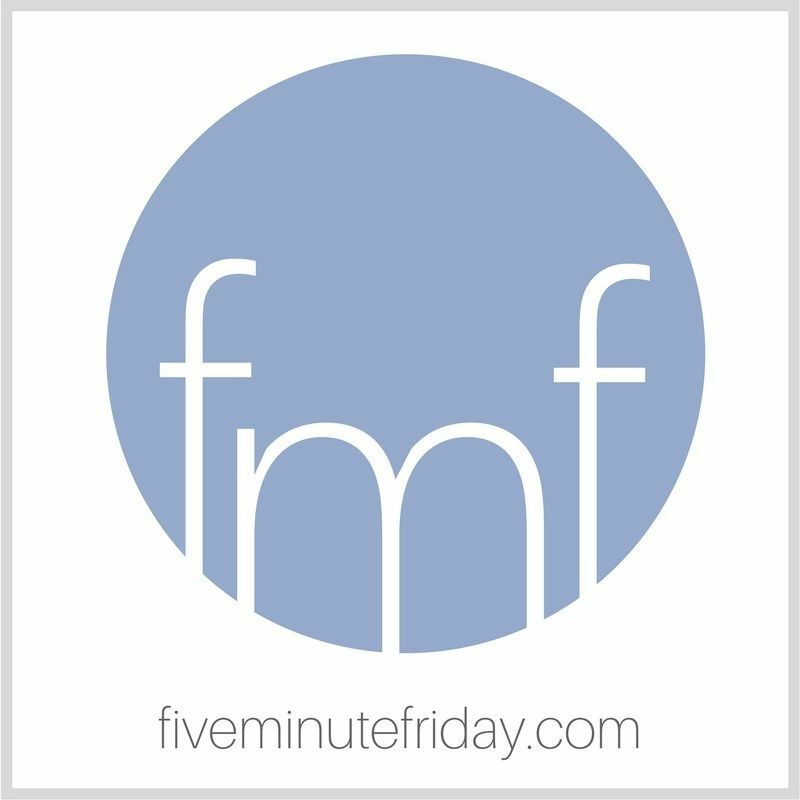 I've made this only somewhat of a FMF; because I love the topic of play, I wanted to write more than five unedited minutes would allow, so I spent less than five making a quick outline, a lot more than five writing, and I edited beyond the usual checking to find repeated words and to be sure auto-correct accurately guessed what I tried to type. But it's still quite rough... I won't revise this one, but may try another post about play. This creation account from the writings in the Hebrew Bible shows us the logos at the play the logos at the work of the first creation. In scripture and in Greek philosophy, the logos is both source and immanence, in a sense that's not very different from the way a logo for an organization or a business anchors its identity and promises more to come. Unlike much of the rest of the times of our lives, have you noticed that whenever we play, we live almost entirely in the present? Rituals and liturgies were one of the ways God's people Israel persistently recalled the past so it would remain present. Within a context that was play more than it was anything else, Israel retold and reenacted the story of their experiences with the God of the exodus, the God who covenants with creation, the God of the commandments. Like Israel, when we worship we remember who God is, who we are, how God has acted. We affirm our dreams. We announce our hopes for the future. Not only is much of our liturgy in the present, just as play is—liturgy also creates a new and different self-contained world that exists with and within our everyday world. Liturgy provides that "foretaste of the feast to come" of the new creation. In Hebrew history people remembered and talked about past events as if they still were in the present; their history with God gave Israel confidence about the future and willingness to continue in open and responsive covenantal partnership with God. Because they knew God's saving deeds of redemption and homecoming, they faced the future with lively hope. Sacraments and liturgy form the model we follow during the week in the world outside the gathered Sunday (or Saturday evening/Sunday vigil) assembly. In the presence and power of the Holy Spirit, the people of God at the work of the new creation are the people of God fully engrossed in the play of a making a new creation from the ruins of the old. The Good Book tells us God created humans in the divine image—a picture you can perceive. Still further, scripture reveals the God who fills heaven and earth becoming human and finite in Jesus of Nazareth. God in Jesus Christ gave us a dream of a whole, healed, reconciled world, a world at peace and at play; Jesus challenged us to make it our dream and in the power of the promised Holy Spirit to make the new heaven and new earth reality. Just as Jesus resembles, represents, and reveals God, we become images of God when we play, when we dream, when we worship. We become people alive in the now—creative, responsive, and responsible. 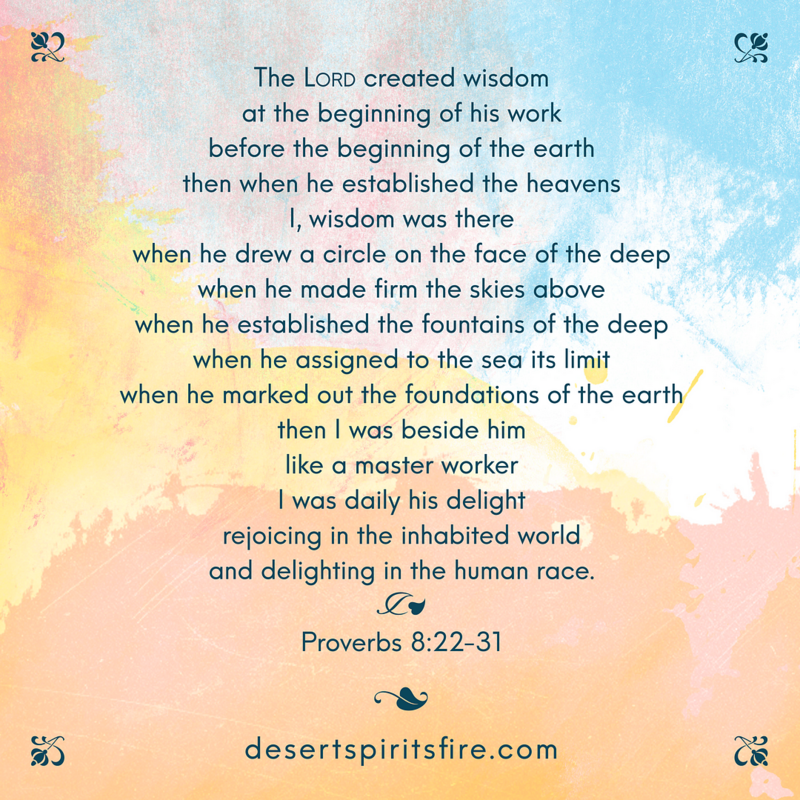 The passage from Proverbs show us the logos at work is the logos at playful celebration of the first creation. In the presence and the power of the Spirit of Pentecost, the spirit of resurrection, the spirit of the new creation, our liturgies are the first fruit, the guarantee we finally will end up in God's image, since God's indwelling Spirit makes possible our play, our dreams—our parties! Like play, worship ends the division between material and spiritual we often make. Dreams start to become reality. In worship, God's people at play are God's people at the work of the new creation. Cornel West exclaims, "We are people of hope! Why do we party on Friday nights? Why do we worship on Sunday?!" Because God includes everything in the plan of liberation and redemption, as the twenty-first century people of God involved in the play and in the work of the new creation, we can wait expectantly for that time when all of life becomes play for every one of us, and like wisdom at the first creation, as co-creators with God in the Spirit we rejoice in the world inhabited by all of God's creatures. Beautiful, friend! I love that last paragraph especially. I'm over in the 5 spot this week.